Explore the Wyoming wilderness and uncover it's secrets. 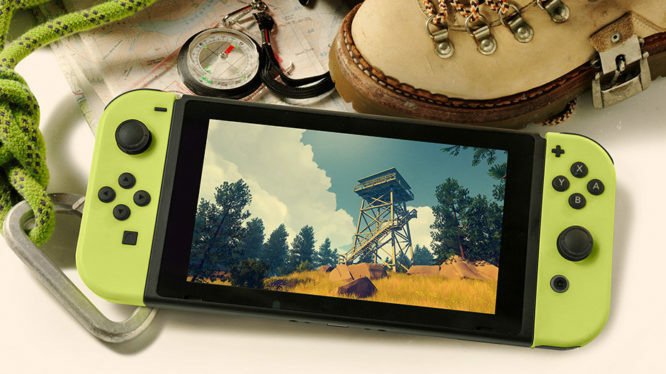 Campo Santo’s debut game “Firewatch” has finally secured its Nintendo Switch release date. The announcement, which was made through the developer’s twitter account, will see players take to the Wyoming wilderness on December 17th 2018. Firewatch is a first-person adventure that follows the story of a National Park fire lookout called Henry. Set a year after the Yellowstone fires of 1988, players must live out Henry’s solitary duties with only supervisor Delilah’s voice ringing through a walkie-talkie to keep them company. Life in the wilderness isn’t always tranquil though and Henry soon starts experiencing some mysterious behaviour. Originally released in 2016, Firewatch sold over a million copies in its first year and snagged multiple industry awards along the way. The Nintendo Switch port will mark the title’s first release on a portable console and is set to launch on December 17th in the Americas, Europe, Australia, and Japan.